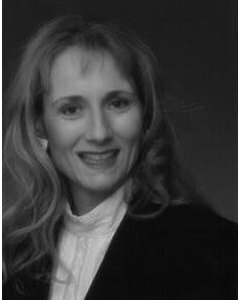 Beverly Smith has studied and participated in real estate matters over 20 years. Ever since she obtained her broker's license, she has been a multi-million dollar sales producer. In order to deliver superior service to her customers, Beverly immediately began the work necessary to obtain real estate designations and currently she holds three: ABR (Accredited Buyer Representative), CRS (Certified Real Estate Specialist), and GRI (Graduate of the Real Estate Institute). The prestigious CRS designation is held by only 5% of real estate licensees and requires a certain level of transactions as well as course work. Beverly's extensive background in people related professions such as teaching and law as well as public service help her understand her customer's needs, protect their interests, and communicate effectively with all parties to a transaction. Some of her civic activities have included eight years on the Wilmette Board of Trustees chairing such committees as Land Use, Judiciary, Finance and Intergovernmental Relations. These valuable experiences have given her extensive exposure and knowledge to draw from when parties need a creative solution. She also served for nine years on the Wilmette Zoning Board of Appeals and currently serves on the contracts committee of the North Shore Board of Realtors. The parks, schools and transportation offered in the North Shore communities make it ideal for raising a family and Beverly has been involved in many youth related activities. She served on the Wilmette Hockey Board for nine years, she taught Taekwondo at the Chang Ju School in Wilmette, was a member of the 2005 New Trier Graduation Committee and helped develop a traffic study for assigning crossing guards to the Middle School at Highcrest Middle School. Working with buyers and sellers on a regular basis requires extensive energy. Her background in Taekwondo has been helpful in maintaining energy levels as well as mental incisiveness and physical health. The qualities cultivated by Master level 5th dan (courtesy, integrity, perseverance, self-control, and the indomitable spirit) are essential in life and in successful real estate transactions. She is now affiliated with K H Kim Taekwondo Headquarters in Northbrook. Having lived most of her life in the Chicago area, Beverly and her husband decided to make it their permanent home in 1973. She received her law degree from Loyola Law School of Chicago in 1977 and she and her husband now live in Northfield. They have resided in the New Trier feeder suburbs for over 39 years. "we met beverly over twenty years ago when we were looking for a home in the new trier district. since then we have bought and sold three houses in the district with beverly as our exclusive agent. i couldn't imagine using anyone else. beverly is an honest broker. i know that many people find "honest broker" a contradiction in terms but she has always told us the truth especially when we didn't want to hear it. as a result, our houses were always priced correctly the FIRST time we put them on the market. her advice in buying has kept us out of trouble such as the adorable house she discovered to be in a previously undisclosed flood plain...dodged a bullet on that one. don't be fooled by her calm, low key demeanor. beverly is a tireless worker. i remember her shoveling feet of snow (this was before global warming) to get the moving truck up the alley. she believes the open house is still the most essential way for people to see and feel for themselves the special qualities of your home. having just bought a house in austin with an extensive virtual tour on the web site, let me tell you, the virtual tour is not reality. people need to be in your home to "get" your home. no one does their homework like beverly. no one responds or follows up like beverly. she has always gone the extra mile (or three) to get the job done. it has been a pleasure and an honor to have worked with beverly for so many real estate transactions. there is no finer agent on the north shore. in fact, there is no finer person than beverly smith."